It’s extraordinarily easy, when you are busy with the day-to-day, to let your business run you – and not the other way around. I’ve observed that businesses, brands – and people(!) – that thrive over the long term are always looking forward. At the same time they enjoy today the fruits of yesterday’s labors. getting done today’s to-do list done (and respond to emails, while replying to texts, etc.) In other words, busy with day-to-day. the innovation, imagination, creativity needed to delight your customers/clients tomorrow? In other words, looking forward! Here’s what I’ve experienced and observed. 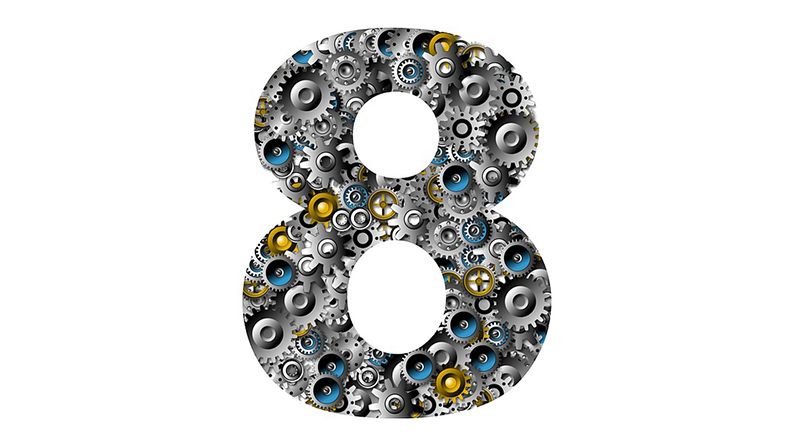 There are 8 steps involved in keeping your business exciting, fresh, relevant, and profitable. I’m calling them my 8 to Great. 2) Observe What are all the ways I could obtain what I desire? What are other people doing? 3) Innovate What’s new that I can provide that people will pay for? 4) Develop How – exactly – will I deliver it? 5) Beta test Confirm your instincts were right on….or make mistakes here – not when you really launch the new product or service. 6) Refine You’re always getting better because you are paying attention and you care. 7) Systematize & document Nail down the processes and systems so that the client experience is standard AND so it doesn’t always have to be done by you (or another key person)! And yes, no matter what your business is, systems can be used for this (even though many of you think they can’t). 8) Leverage by communication What rooftops should you be shouting from to reach prospects, referral sources, business partners. Yup, it’s a lot of work. Which is why you’d better be all-in, focused and dedicated. Otherwise, it’ll never happen (especially – for me at least – item numbers 5 & 6…and OK, 7!). In about half an hour, I’ve holding a teleconference for the subscribers to my NoSweatWebsites product (a turn-key website for LTCI agents that includes every bell and whistle, and makes getting a gorgeous website easy). Yup, I’ve been through the 8 to Great process a few times around on this product. I had a wonderful strategic coaching session with Marilee. She helped me gain clarity in my problem within minutes and was able to direct be in my next steps to achieve my overall goal. Thank you Marilee! I purchased an hour consult with Marilee at a fundraising auction. The consult was unbelievably helpful and I can see why so many people speak highly of her.